"So Marshal Dughan sent us to the other side of the forest to investigate this Murloc business," I ask. I do this because sometimes I stop paying attention when master is doing something really, really stupid. "Yes. 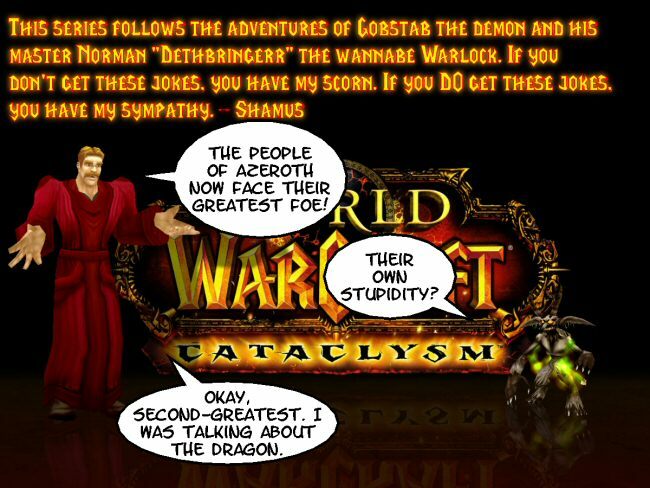 He said the reports of Murlocs are 'sketchy.'" "Even though he could walk around back of the building where he's standing and see Murlocs?" "Yes. But remember, we're talking about the other side of the forest, here. He won't send troops until he can be sure." 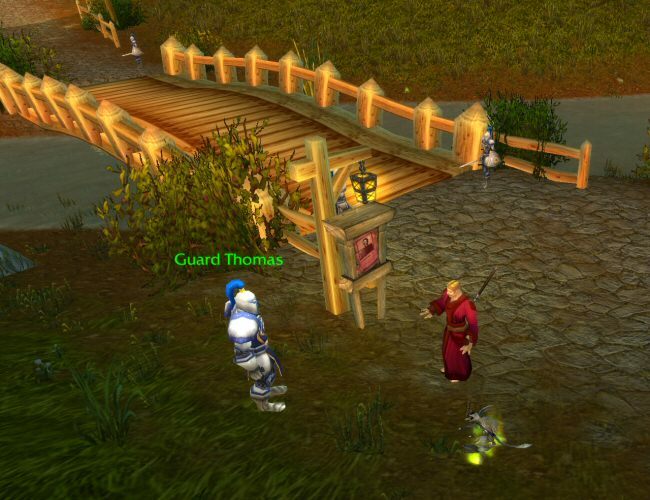 We reach the edge of the the forest and find Guard Thomas stationed at one end of a wooden bridge. Norman explains the deal. "Yes," Guard Thomas tells us. 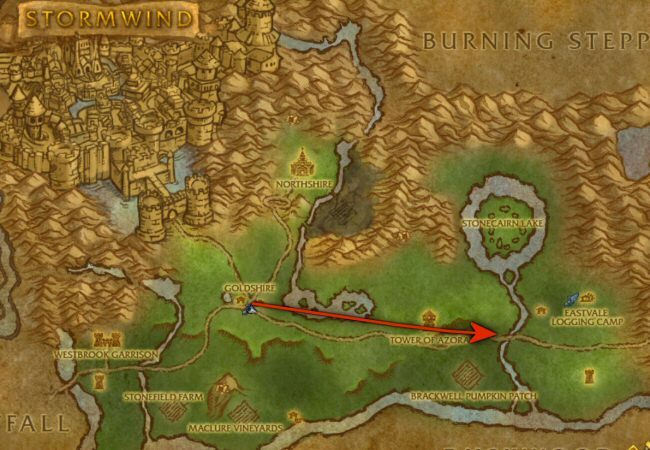 "Murlocs have settled around the streams of the forest." "Okay," says Norman. "Just write that down and I can take it back to Marshal Dughan, and he can send you some troops." "Well, see ..." Guard Thomas wavers. "What?" says Norman. "You need a pen? I've got paper here. You're illiterate? I'll write it for you if you tell me what to say. But the sooner this report gets delivered, the sooner you get reinforcements." "The thing is, a few days ago I sent two guards, Rolf and Malakai, to investigate along the river, and they have not yet returned." "Oookay," Norman says slowly. "I guess you can write that down too. Whatever. It's your report, I'm just here to deliver it." "No, to complete my report, I need to know what became of them." "Why?" Norman asks irritatedly. "I mean, what do you think happened to them? They ran off and got married? Just say you sent two guys and they didn't come back. Then Dughan will send you more men." "Oh, I would never turn in an incomplete report like that. I need someone to find out what happened to them." Norman slams his face into the palm of his hand and makes little man-baby noises. "Dughan won't send help until you send your report, and you won't send your report until you get some help. Do you see the problem here?" "And do you see what needs to be done to fix it?" Norman asks hopefully. 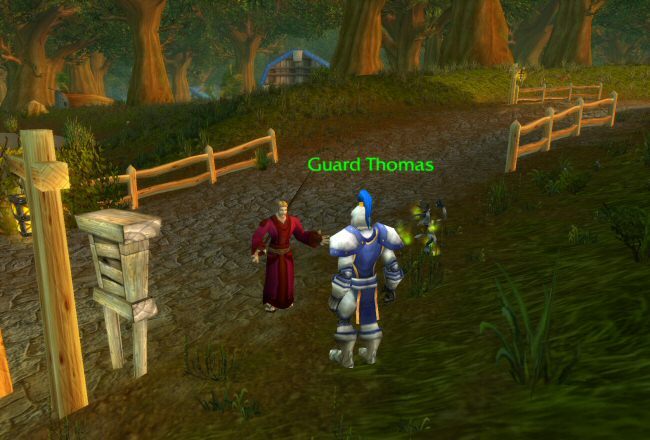 "I think so," Guard Thomas says slowly. "I guess," Guard Thomas says, looking down at his incomplete paperwork. "That the only thing to do ... is to have you scout for Rolf and Malakai so I can finish my report." "Guard Thomas," Norman says patiently. "Can I call you Guard? Okay, Guard. What you are proposing here is to send one civilian to do a job where two soldiers failed."